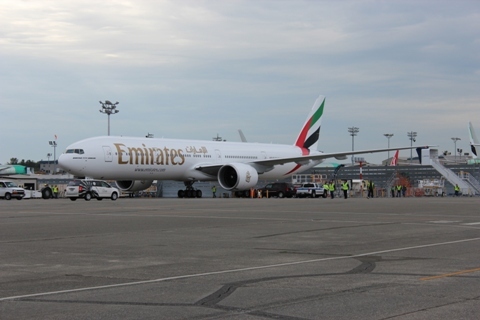 And the plane goes to …Emirates. No surprise. It's a 777-300ER, the best-selling variant. Currently, more than 30 airlines operate 500 -300ERs around the world, and Boeing still has more than 200 orders to fill.